There's a substance hidden in your house that could help you keep pushing through your intense interval workouts. No, it's not propane and matches. It's baking soda. Here's what you need to know about this popular performance supplement. Sodium bicarbonate, also known as baking soda, is a common baking ingredient you can buy in any grocery store. You can also find a version of it in every person working and shopping in those stores, because bicarbonate is a naturally occurring substance in the human body. Normally produced by the kidneys and in a lesser degree in the intestinal tract, bicarbonate works to eliminate hydrogen ions and reduce acidity in the blood. Given how blood acidity builds up over the course of strenuous exercise, it should be no surprise that people have looked at sodium bicarbonate as a performance supplement. Sure enough, it&apos;s an ingredient in some pre-workout and fat-burner blends, but it may also be one of the longest-lived supplements. Competitive endurance athletes in particular have been including baking soda for decades in their own home-brewed pre-workout blends. For this reason, it has also been studied rather extensively in the context of various sports including boxing, swimming, cycling, sprinting, and to a far more limited degree, weightlifting. 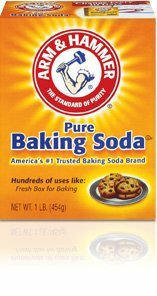 Baking soda training claims have long populated forums and blogs, so if you&apos;ve ever been curious, here&apos;s your introduction to the science behind the soda. Have you been considering raiding the cupboards for a pre-workout bicarbonate fix, either in the place of or alongside another lactic acid buffer such as beta-alanine? If so, read on. What Happens When You Take Bicarbonate? Taking some variety of bicarbonate—either sodium or potassium, the latter usually in the form of a potassium supplement—fairly reliably increases circulating levels of bicarbonate, peaking in around 60-90 minutes. When strenuous exercise is added to the mix, blood lactate levels rise, which is indicative of lower levels of lactic acid; the bicarbonate blocks the conversion of lactate into lactic acid. Due to this buffering ability, sodium bicarbonate is sought after for the same reasons as beta-alanine—to prolong time to exhaustion or promote more work output when the body would normally slow down due to "the burn." Most studies agree that a dose of 200-300 mg per kg of bodyweight has the ability to enhance performance in exercises that are short in duration, but longer than a single sprint or lift. In most cases these are 2-7 minute workouts that involve repeated sprints, often on a cycle ergometer. 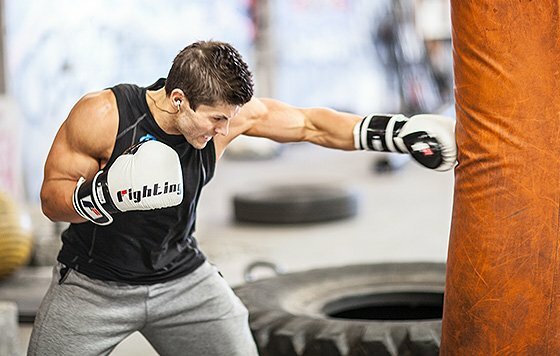 Outside of the lab, HIIT cardio and Tabata protocol training would definitely fall under those parameters. The limited research into bicarbonate supplementation for prolonged aerobic training of 45 minutes or longer at race pace indicates the benefit can be felt there as well. There seem to be limits to its effectiveness, though. Single sprints lasting less than a minute don&apos;t appear to derive any benefit from bicarbonate, and studies which measure numerous sprints usually find a failure of sodium bicarbonate to benefit performance on the first few sprints, though it can increase performance in the later sprints. Oddly, the effectiveness of baking soda also appears to vary sport-by-sport. Studies of elite rowers doing a 2k for time, for example, tend to note no benefit or an insignificant one. Swimming is the opposite; studies using a repeated sprint protocol (either 10 sprints of 50m or 5 sprints of 100-200m) have shown that the decline in performance normally seen with repeated sprints is abolished with sodium bicarbonate. Unfortunately, limited studies have been conducted in weightlifting, so it&apos;s hard to compare bicarbonate alongside beta-alanine in this respect. One study looking at performance on 5 sets of 12-rep leg presses, followed by one set to failure, failed to find a significant benefit with supplementation. However, future studies notwithstanding, it&apos;s plausible that the benefits swimmers and cyclists see could extend to weightlifters. The performance benefit from bicarbonate supplementation is usually measured at around 1-2 percent. That may not sound like much, but for perspective, it&apos;s approximately the same benefit seen from taking 4,800-6,400 mg of beta-alanine. However, the limited research looking at the combination of beta-alanine and bicarbonate suggests that mixing them provides no additional benefit. Consider the two highly similar in action—though definitely not in side effects—but not necessarily complementary. Perhaps unrelated to all the above, sodium bicarbonate has been shown in some studies to promote neuromuscular function in sports requiring a high degree of coordination. For instance, it appeared to help tennis players prevent the gradual decline in swing accuracy and trained boxers to maintain or improve punch accuracy. This suggests that there might be a neural benefit, but the mechanisms underlying these observations are not currently known. Sodium bicarbonate appears to help tennis players prevent the gradual decline in swing accuracy and trained boxers to maintain or improve punch accuracy. Supplemental bicarbonate has also been shown to benefit people suffering from metabolic acidosis, either due to chronic kidney disease or as a normal part of the aging process. When the kidneys have impaired function they begin to secrete less bicarbonate into the blood, and a mild state of acidosis results. Bicarbonate could help reduce the rate of bone loss over time; during prolonged acidosis the bones are used in the place of bicarbonate to buffer excess acid. Most of the potential side effects of sodium bicarbonate occur in the digestive tract. Within 30-60 minutes after ingestion, subjects sometimes experience stomach disruptions including nausea, bloating, and reflux. Once past the hour mark, side effects are more intestinal, and the risk of diarrhea and flatulence is increased over the course of 24 hours. A number of studies have indicated that these side effects can be effectively treated through strategic dosing. The stomach side effects, it appears, can mostly be alleviated by either taking three small daily doses rather than a single pre-workout dose, or by mixing it with a fairly low volume of liquid, perhaps around 500 ml, and sipping it slowly. The intestinal side effects can be alleviated by having a solid food meal, hopefully high in soluble fiber, prior to training. Finally, and probably most clinically relevant, is the fact that sodium bicarbonate contains quite a bit of dietary sodium. Assuming you follow a 200-300 mg/kg dosing model, it would add between 3,500 and 5,000 mg of salt to your diet, much more than 100 percent of the recommended daily allowance. This implies that baking soda should not be used by persons with salt-sensitive hypertension. How Should I Stack It? As mentioned earlier, there doesn&apos;t appear to be any benefit to taking baking soda alongside beta-alanine. Baking soda and caffeine do show some combined benefit, but at the risk of higher intestinal side effects. As a general rule, pairing sodium bicarbonate with other popular pre-workout supplements that are known to irritate the intestines in high doses, such as L-arginine, or which stimulate defecation inherently, such as caffeine, may exacerbate the diarrhea side effect. There is currently little evidence to assess whether baking soda works well with creatine. So far only one study looked at a creatine-plus-baking-soda group versus placebo, concluding that the two supplements could be advantageous for athletes performing high-intensity intermittent exercise such as cycle sprints. Based on the available research, 200-300 mg of baking soda per kg of bodyweight seems to be the optimal dosing range. Due to the sodium load associated with baking soda and the risk for intestinal side effects, the lower dosage of 200 mg/kg might be a more prudent decision. The most practical way to supplement bicarbonate is probably on an as-needed basis prior to exercise characterized by lactic acid buildup. Some mixed evidence suggests that higher doses such as 500 mg/kg can be more effective, but as you might expect, these doses also tend to be associated with a higher risk of side effects. The most practical way to supplement bicarbonate is probably on an as-needed basis prior to exercise characterized by lactic acid buildup. Add the baking soda to 500 ml or so of liquid and sip it slowly over a 15-20 minute period 60-90 minutes before activity. Drinking the mixture too fast increases the risk of an upset stomach, because sodium bicarbonate does react with stomach acid. Potassium bicarbonate might seem on its face to be an effective non-sodium alternative to baking soda, but approach it with care. Although studies have used up to 9 g of potassium bicarbonate daily without apparent side effects, they were not taken in the context of a single pre-workout dose. Potassium in high doses is more problematic when rapidly absorbed, which why vegetables and fruits never cause cardiac arrhythmia, but supplements can. Sodium bicarbonate seems to work reliably and safely within specific settings: high-intensity training and competition where having legs that last matters. It might also help maintain motor control in a sports setting as fatigue sets in. Its popularity appears to be well-founded, but it&apos;s not magic, and the intestinal side effects could theoretically pose a limitation on the exercise and benefits in some people. In short, use your head and take care. Like other new supplements, the first dose of bicarbonate should be a half-dose to assess tolerance, and perhaps not taken before a workout. Keep an eye on the sodium levels if you&apos;re at risk, and be careful mixing significant doses of it with other pre-workouts unless you don&apos;t mind sprinting for the bathroom. 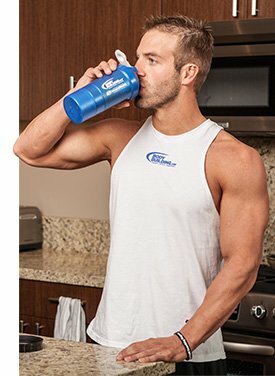 Sol and Kurtis, the founders of Examine.com, have just released The Supplement Goals Reference Guide. This exhaustive volume analyzes more than 300 supplements within the context of over 180 health goals and thousands of human studies—no animals or petri-dishes here. With the Supplement Goals Reference Guide&apos;s easy-to-use tables, all you need to do is search and click on whatever supplement or health goal you&apos;re interested in. Instantly, and finally, find supplements that work! Kurtis Frank and Sol Orwell are co-founders of Examine.com, where they collate scientific research on supplementation and nutrition.